Dr. Lederhaus has been a neurosurgeon for over 30 years, specializing in minimally invasive approaches to brain and spine tumors, vascular disorders and diseases. At the Inland Neurosurgery Institute in Pomona, California, Dr. Lederhaus provides advanced neurosurgical techniques in microsurgery and stereotactic surgery that optimize outcomes and improve quality of life for his patients. The Inland Neurosurgery Institute is dedicated to ethical standards and practicing evidence-based medicine. Dr. Lederhaus is board certified in neurological surgery by The American Board of Neurological Surgeons and the National Board of Examiners. He is a member of the American Association of Neurosurgeons and the North American Spine Society. 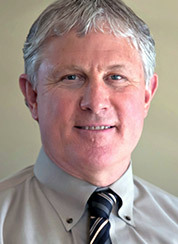 Having received his undergraduate degree with honors in biological sciences from the University of California, Irvine, Dr. Lederhaus went on to earn his medical degree from Rush Presbyterian St. Luke’s Hospital in Chicago. He completed his surgical internship at the University of California, Davis, followed by his neurosurgical residency at the University of California, Irvine.